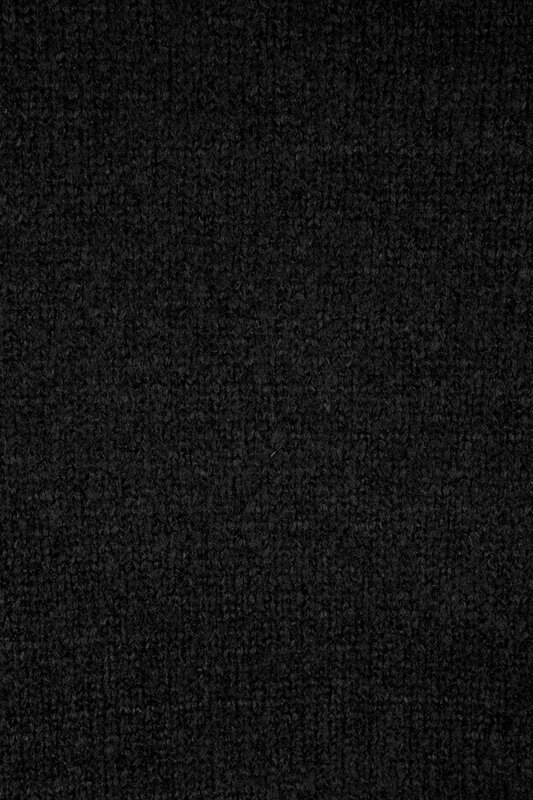 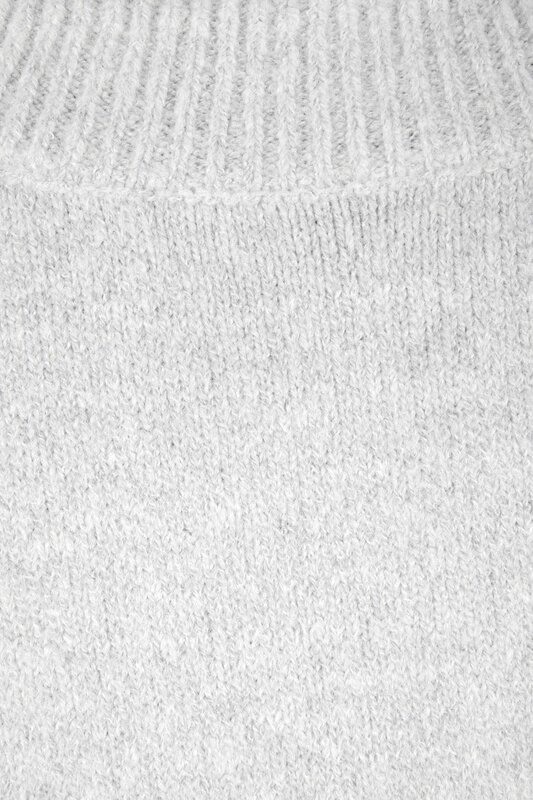 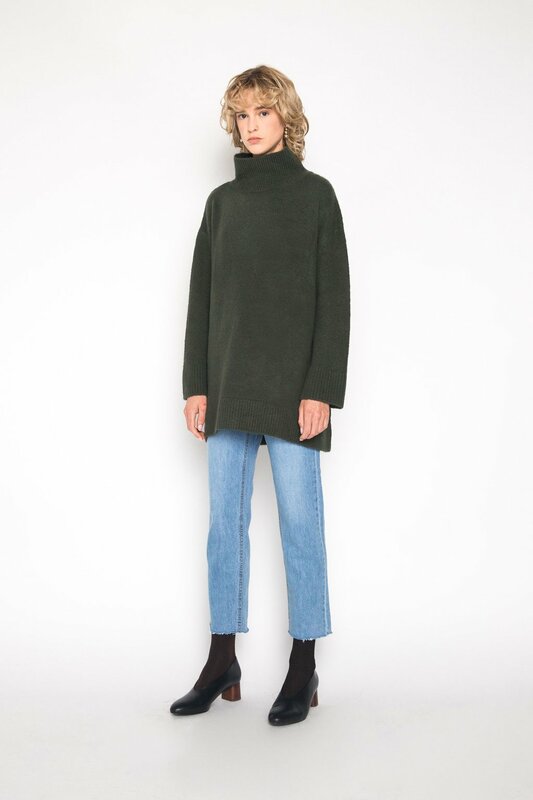 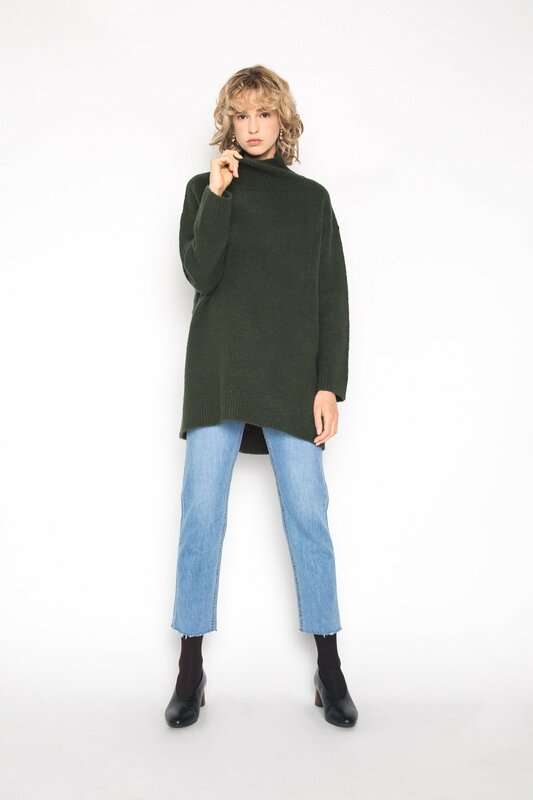 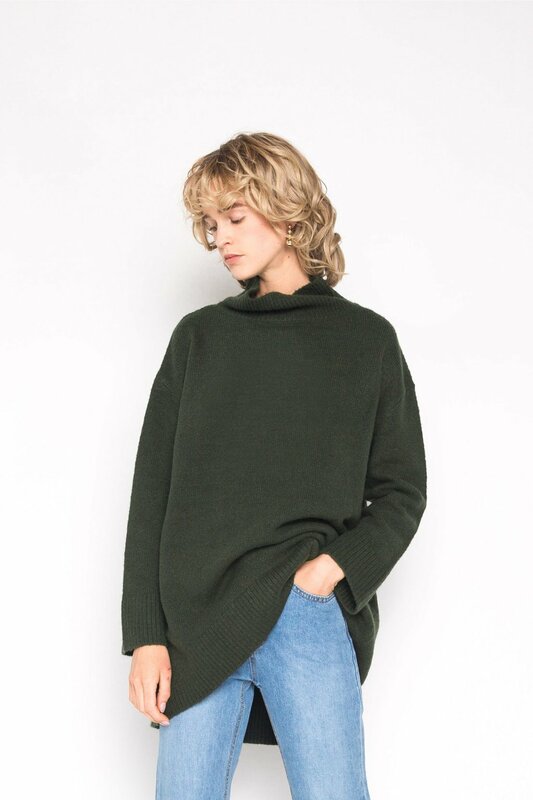 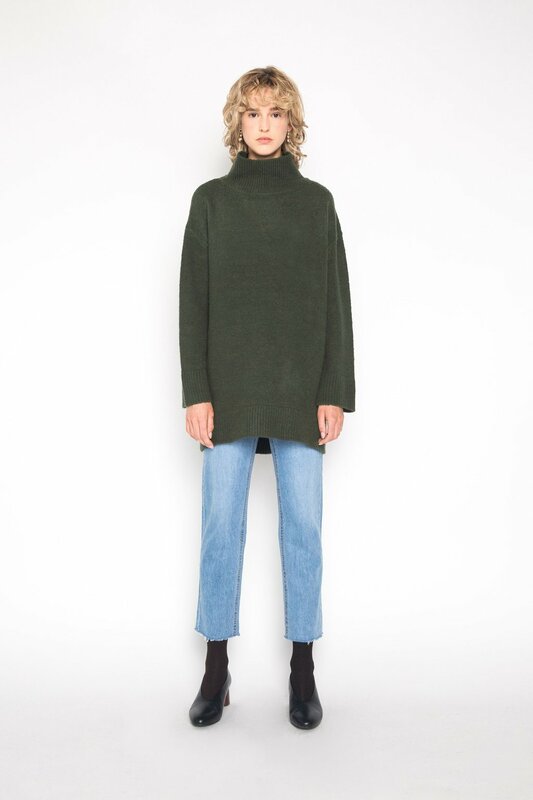 A longer version of our Sweater 1548, this turtleneck sweater features ribbed detailing at the cuffs, hems, and neckline for a sophisticated touch. 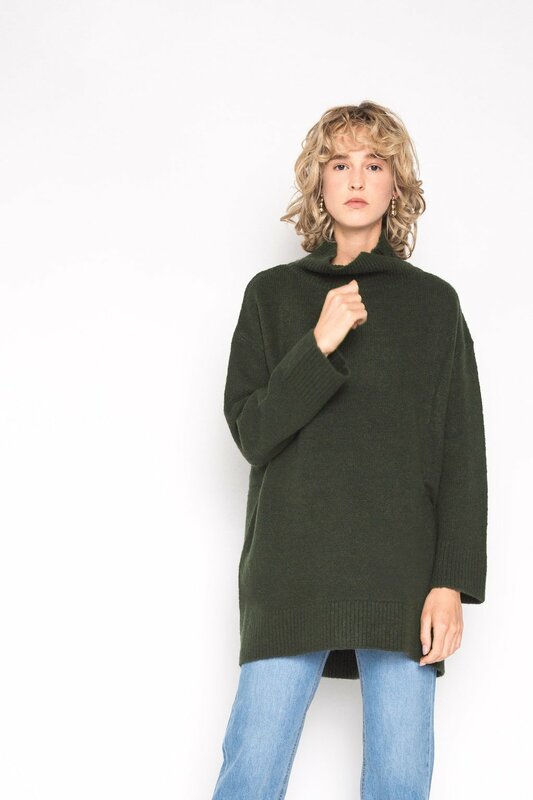 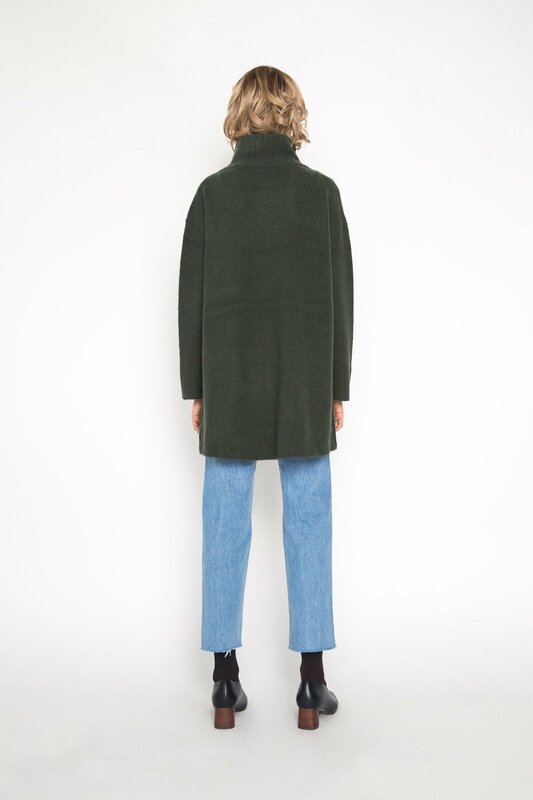 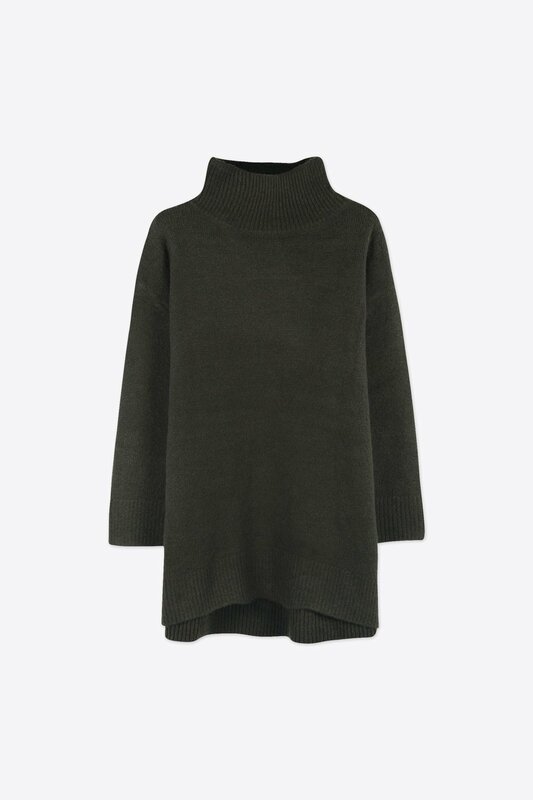 The oversized silhouette make this piece extra-cozy and perfect for the upcoming fall and winter. 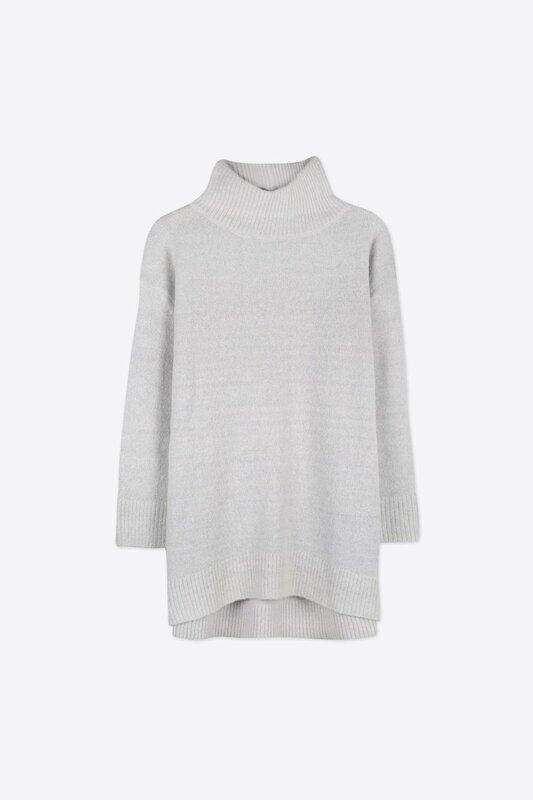 Pair with denim and ankle boots for an effortlessly chic everyday look.